It was obvious that Doctor Who‘s Jenna Coleman would make a gorgeous Queen Victoria, but now here’s the proof. ITV has today released the first image from the upcoming 8-part drama, Victoria, which follows the early life of the iconic queen, from her accession to the throne at the tender age of 18, through to her courtship and marriage to Prince Albert. Coleman’s involvement in the role was confirmed in September, when it was announced she would be leaving her role as the Time Lord’s assistant Clara Oswald on Doctor Who in exchange for this new £10 million deal. It was also announced today that period drama veteran Rufus Sewell will star alongside Coleman as Lord Melbourne; Victoria’s first prime minister. The two characters will have an interesting relationship, as their intimate friendship in real life became a popular source of gossip that threatened to destabilise the Government. 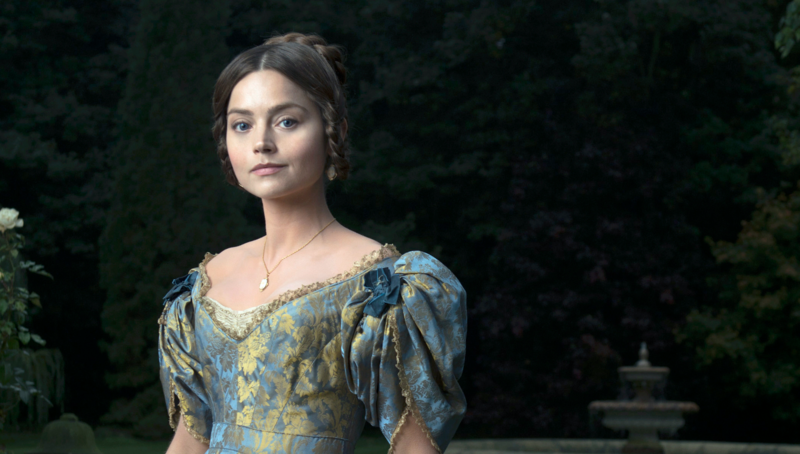 ITV’s Victoria will open with a 90-minute episode, followed by 7 one-hour episodes, some time in 2016.